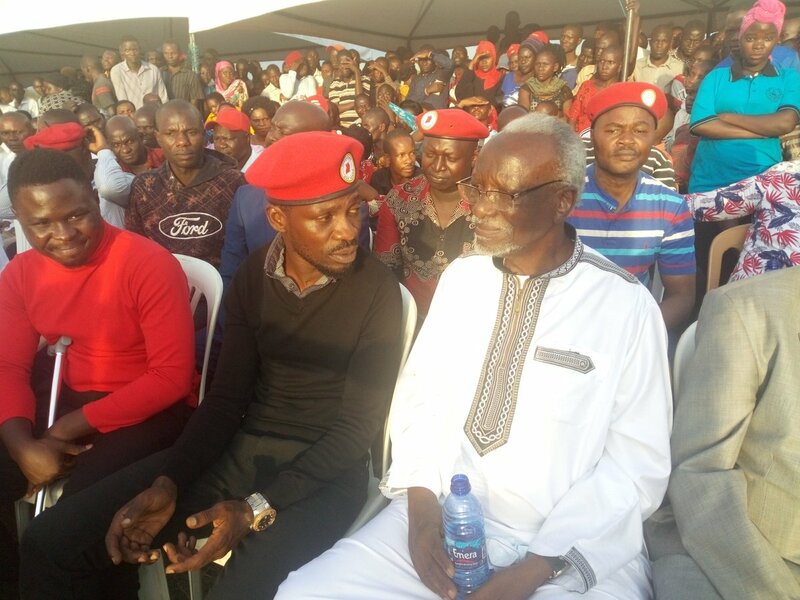 BUGIRI– A massive crowd has turned up as Kyadondo East Member of Parliament Robert Kyagulanyi alias Bobi Wine returns to Bugiri amid heavy security deployment. 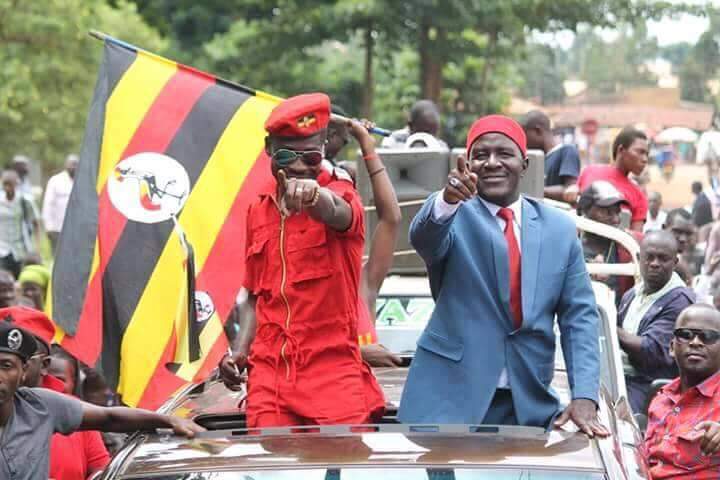 Bobi Wine has for the first time returned to Bugiri since the by-election where an opposition Asuman Basalirwa, clinched the Municipality parliamentary seat in an election marked by shades of violence. Although Police has heavily deployed, Bobi Wine and his team have made their way to Bugiri without any interference from police and other authorities. Security has been beefed up in the area after police reportedly received intelligence information that Bobi Wine was among those expected to attend the event to be held at Bugiri high grounds after police told them that they wanted an enclosed place. Police on Friday issued tough measures ahead of Basslirwa’s much-anticipated thanksgiving ceremony. Present at the function is East African Affairs minister and second deputy Prime Minister Kirunda Kivejinja. Other opposition Members of Parliament including frail Mityana Municipality MP Francis Zaake are in attendance. Bobi Wine whose previous music concerts including that of Boxing Day at his One Love Beach in Busabala have been blocked by police on grounds that he had not obtained a security clearance is expected sing at the vent.